Beautiful Abstract Druid Archtop Model. 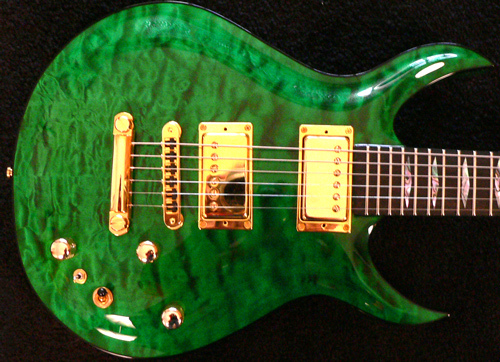 All Abstract guitars are available with almost any custom modification you could think of. You can choose the wood you want, We carry 44 different types of wood on the premises. You can choose whatever pickups you like, We carry all the major brand names and many boutique brands like Tom Holmes. 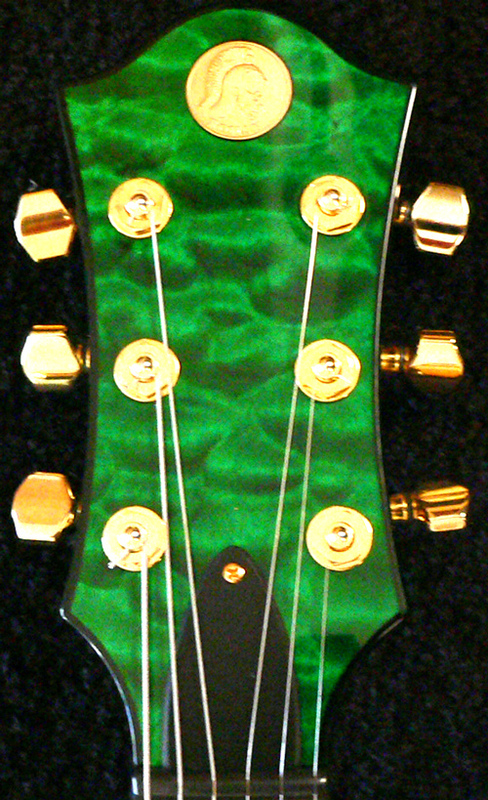 You can order most models with any headstock on our list or design something yourself. You can choose the hardware and you can design the electronics. Most models are available in Basses, Doublenecks, Neck Through Body, Bolt On, Left Handed or whatever your heart desires.